Today, almost all major social networks and applications have adopted location-based features in a meaningful way. Consumers are constantly getting quick directions and “checking-in” at restaurants, coffee shops, stores, concerts, and other places or events – it’s become second nature. However, most fail to realize that the back-end platforms that are needed to run such location-based services (LBS) was, and even to this day remains, exceedingly complex to master. San Jose, California-based company deCarta makes a highly specialized geospatial platform technology for hosted mapping, routing, navigation, geocoding and local search applications. The platform is ideal for high-volume, complex location-based services that require scalability, reliability and global coverage. Founded in 1996, deCarta once focused on mapping services for the mobile, internet and enterprise fleet markets. By the time Lumina engaged with deCarta in September 2014, the company had also become active in the automotive market for connected cars. At the time, the back-end LBS platform required to run these location-based services were exceptionally complex. In fact, it was so hard to build that Google outsourced its first LBS platform to deCarta a decade ago, before Google was able to ramp up its own mapping platform in the mid-2000s. Google Maps eventually made a big market breakthrough by removing the barrier of complexity and creating accessibility to location-based geospatial information for applications. As an outcome, developers were able to easily integrate maps on the front-end of their development process in order to access driving directions, retrieve map images, or perform other location-based search services. As a result of Google Maps opening up their mapping platform in recent years, developers no longer had to negotiate terms with larger map vendors for map content and technology. They could simply adhere to the terms and conditions dictated by Google. However, this advance brought a new set of problems – namely, a growing lack of control for developers. deCarta wanted to raise market awareness of about the unique strengths of their independent technology platform, which only had two viable competitors – Google Maps and Nokia Here. Obviously, the brand recognition for these two global giants dwarfed public awareness of deCarta, which only had about forty employees. In efforts to assert itself in the market, deCarta issued numerous press releases from 2007 to 2013, but this approach only garnered mediocre press coverage. It wasn’t until deCarta’s engagement with Lumina Communications in September 2014 did its PR exposure substantially take-off. Lumina implemented a two-pronged PR strategy to 1) elevate the industry leadership profile of deCarta CEO J. Kim Fennell, while 2) also drawing media attention to the sheer power of deCarta’s technology platform. Lumina launched the campaign by ghost writing several thought leadership articles for Fennell. The team secured a number of byline placements in publications such as Wired, Chief Executive and Mobile Enterprise. In addition, Lumina built a steady pipeline of business and trade media coverage ranging from the likes of WirelessWeek to Business Insider. In November 2014, Lumina secured the opportunity for Fennell to be a featured speaker at the AlwaysOn OnMobile Conference in Silicon Valley. As a result of that speaking engagement, deCarta was honored with the coveted “Companies to Watch” award from the AlwaysOn judges, including a winner’s badge that was proudly displayed on deCarta’s website. Another tactic employed was to raise market awareness through industry analyst research. Lumina secured interest for Fennell with Gartner’s VP and Distinguished Analyst Thilo Koslowski as well as Marc Prioleau of Prioleau Advisors, a strategic M&A advisory. As a result, Prioleau published several influential articles about deCarta’s advantageous technology. Finally, Gutenberg developed a consumer survey for deCarta to draw attention to the importance of location-based services for connected cars and their related safety concerns. The survey results were extremely popular among both business and technology audiences, receiving coverage from more than 40 prominent outlets. Throughout Lumina’s campaign, Fennell made it clear that he wanted to be able to position his company for some sort of acquisition exit, hence the need to drum up greater attention for deCarta through PR efforts. After just six short months of working with Lumina, deCarta was acquired by Uber, the world leader in ride-sharing services, as their first public acquisition. The deal closed for an undisclosed sum, but that didn’t hinder the media frenzy that broke out when the news was leaked to Mashable on March 3, 2015. 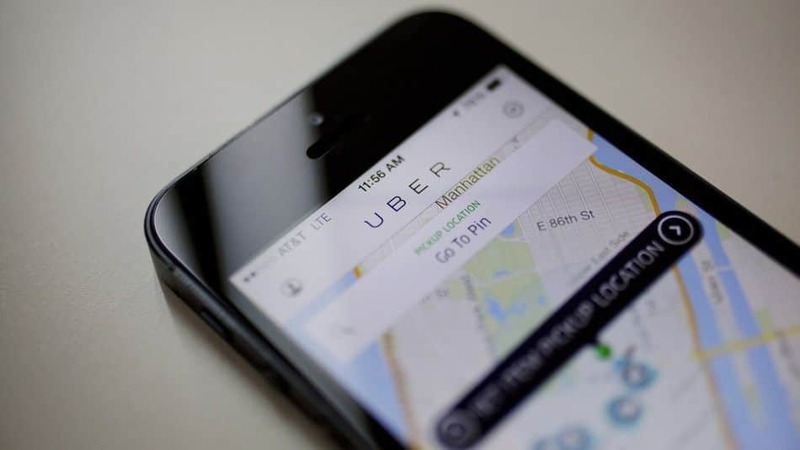 The acquisition of deCarta was especially newsworthy because it was marked as Uber’s first-ever acquisition in the marketplace. Kim Fennell was enormously proud of this outcome as deCarta was bought by one of the most promising young companies on the planet with a highly disruptive business model and estimated valuation of $50 billion. Fennell was asked to join Uber as President and CEO of deCarta, which today exists as an Uber Technologies Company.